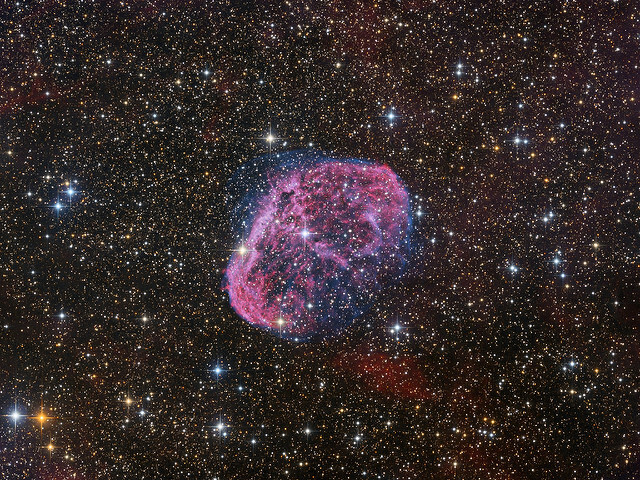 Employing Tele Vue’s 2-inch Paracorr Type-2 photo/visual accessory, Oleg Bryzgalov in Ukraine has been doing outstanding astrophotography with fast 10” Newtonians. His work spans the deep space gamut: star clusters, emission nebulae, and galaxies. Some of the well-over 100 Paracorr images he’s posted on flickr.com are featured in our Tele Vue Paracorr Gallery. We asked Oleg why he uses the Paracorr and he told us the following. I’ve been doing astrophotography for eight years. I tried all the coma correctors available to me, including the original Paracorr. More than five years ago I started using Paracorr Type-2. Since then I have made three astrographs with different mirror diameters and different relative aperture. And Paracorr Type-2 was the best choice for each of them. 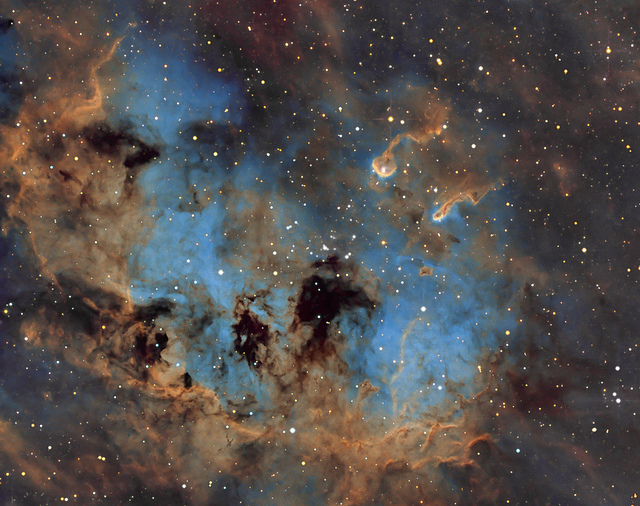 “Nebula IC410 and star cluster NGC1893 in Auriga (HST version)” by flickr.com user Oleg Bryzgalov. All rights reserved. Used by permission. Custom adapter (metal ring) connects Paracorr Type-2 body to QSI camera. 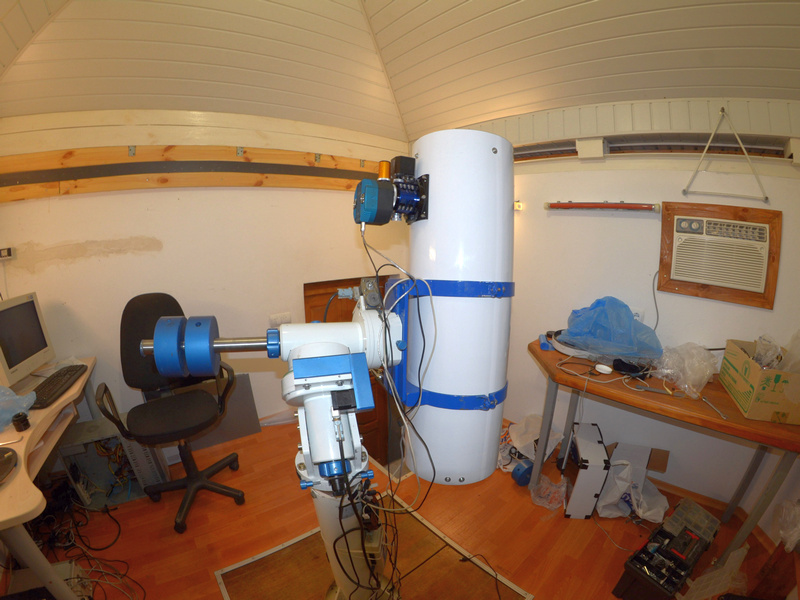 His current Newtonian astrograph is a 10″, f /3.8 with a secondary minor axis of 80mm. Camera is the QSI-583wsg. 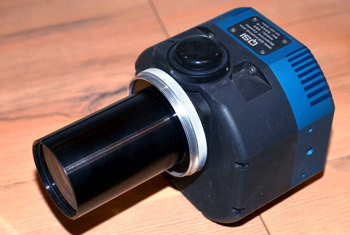 A custom-made adapter connects the camera, Paracorr Type-2 and Moonlite 2.5” Large Format Newtonian Focuser. The highly versatile 2″ Paracorr Type-2 (VIP-2010) is a must for any Dob/Newt. The system includes: 2″-1¼” adapter (top), Tunable-Top (middle), & Paracorr Type-2 body (bottom). Tele Vue’s Paracorr Type-2 accessory turns fast Newtonians into astrographs by making color-free coma (star elongation) corrections to the optics. At f/3, the Paracorr Type-2 makes star images at the edge of the field of view 25 times smaller than without any correction – making it an essential accessory for wide-field imaging through fast Newtonians. Our 2″ VIP-2010 comes with a “Tunable-Top” for visual use. It can handle 2″ eyepieces and includes a 2″-1¼” adapter. This moves the eyepiece up and down to maintain the proper eyepiece field-stop to Paracorr lens distance to optimize the elimination of coma. 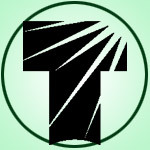 Tele Vue’s “imaging system” accessories (mobile version) for connecting Paracorr Type-2 to cameras. For cameras not listed consider Precise Parts.